I dipped my toes into lattes, cappuccinos and even cold brew coffee last June. That is, I made by first stock purchase: one share of Starbucks. And I've made next to nothing. I snagged Starbucks (SBUX) for $53.38 in June 2015. By Friday morning, the stock was worth about $55. So I basically made less than $2 . That's not even enough to buy a small coffee at Starbucks in New York City. Of course, I could buy that small coffee if I include the 76 cents in dividends I received. Although the overall gain isn't anything to write home about, it's not awful either. At least in the current environment. Starbucks is up 7.5% in the past 12 months. The S&P 500 is only up 3.2% over that time. Takeaway: I didn't crush it with my first investment, but I didn't get spooked and sell when markets tanked, either. I bought Starbucks for three key reasons -- solid leadership, international growth and I understand the company's product. Today those are still the reasons I would buy the stock today to invest in its future. 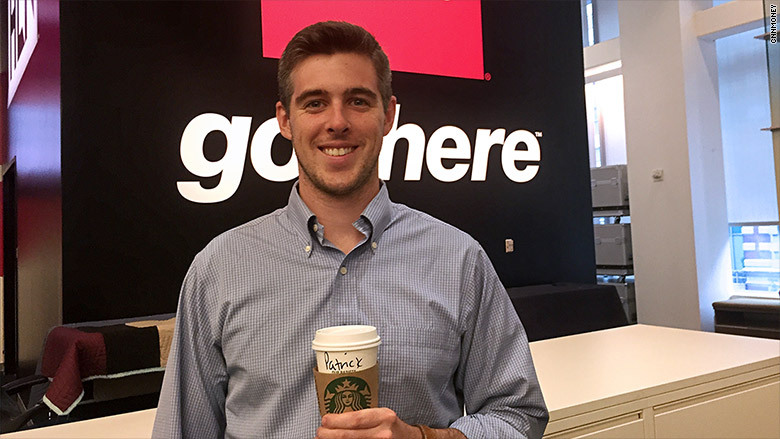 Patrick Gillespie with a latte from his favorite coffee place. Here's what I learned after year one. Starbucks is a global brand and roughly 25% of it revenue comes from outside the United States. So the rest of the world, especially Asia, matters A LOT to Starbucks' success. As the global economy has slowed, so has Starbucks' stock. So far this year, its stock is down more than 7%. For all of last year, it was up 46%. Of Starbucks' nearly 24,000 cafes worldwide, it has almost 6,000 cafes in Asia. 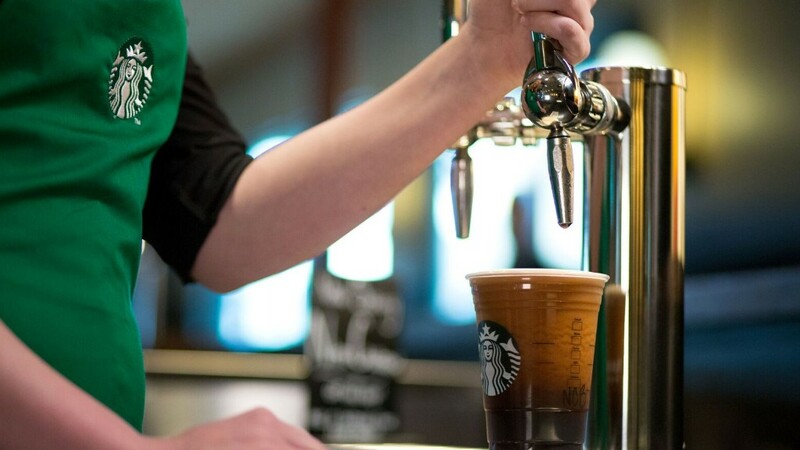 Put simply, if consumers in Asia stop spending, that can affect Starbucks' top line. A year ago, Starbucks sales in Asia rose 124% in its second quarter. This year, those same sales only rose 14%. So it is growing, but not at the exponential pace of prior years -- pretty much like China's economy. If Martin Shkreli ran Starbucks, I'd probably run for the hills. Thankfully, Starbucks CEO Howard Schultz is in charge and he's widely regarded as one of the best CEOs in America. Schultz had previously served as Starbucks CEO from 1987 to 2000. Then he left that role, and even though he stayed on as chairman, he had less daily influence over the company's decisions. But Starbucks struggled without Schultz at its helm. He returned for his second term as CEO in 2008, and since then, Starbucks has undeniably crushed it. The stock bottomed in November 2008 is up 1,472%, since then. Schultz won't be CEO forever and his replacement will have big shoes to fill. But I'm confident he's got the company on a sound footing for the next guy or gal. The markets went nuts in the past 12 months. I learned to keep calm and carry on. Last August -- two months into my investing career -- the Dow briefly lost 1,000 points, seemingly at the snap of a finger. In January, markets plummeted again amid fears about falling oil prices, China's economy and the Federal Reserve. I realize having $50 on the line isn't much to worry about. But I have a 401(k) and I bought shares of an ETF, so in total, I have a lot more on the line than just Starbucks. And I'm not selling. I'm holding on for the long term. 4. What exactly does long-term investing mean? 5 years? 10 years? Life isn't as perfect as a prime number so you can't just say "I'm going to hold onto this for a decade and see what happens." I asked Brenner and he had a good explanation: write down the list of reasons why you bought the stock. If they're still the reasons you would buy the stock today, hold on to it. If the company is no longer meeting those reasons, consider selling. More importantly, start investing at a young age. Brenner didn't start personally investing until his early 40s and he wishes he began sooner. "A few bucks bought when one is 25 is going to amount to much more when one was is 45," he says. "Don't be afraid to dabble."